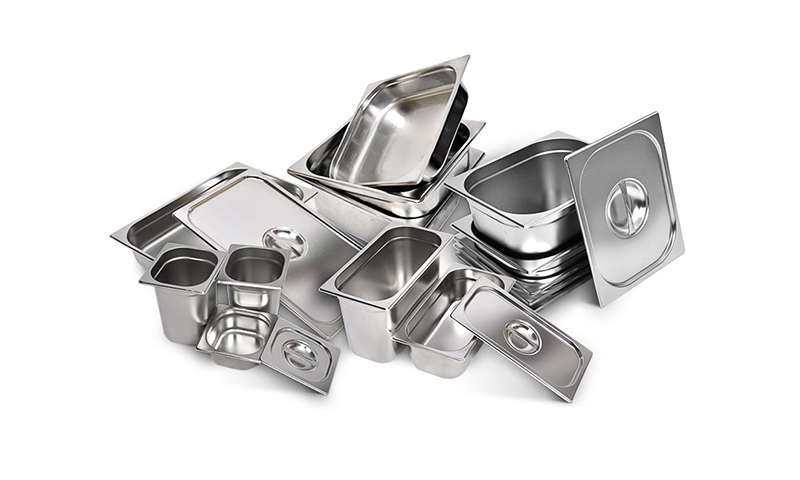 Features ● Food grade, durable stainless steel material. ● Wall thickness 0.8 mm. ● Depth options of 20 mm and 200 mm. ● Available in full size (1/1) to 1/9 size. ● Very solid design, smooth edges, easy to clean. 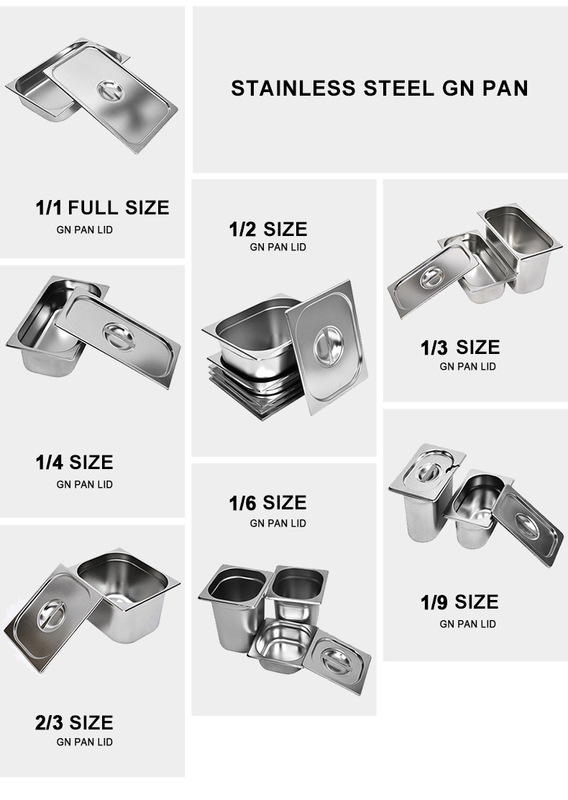 ● All size options available with coating. 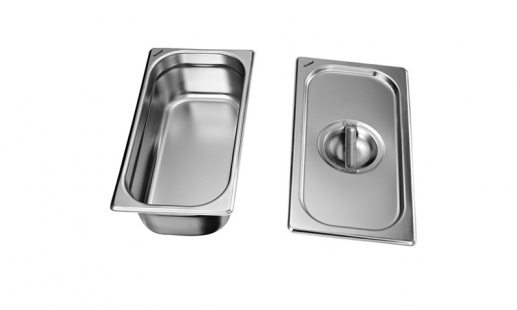 ● Can be used in convection ovens, refrigerators, bain-marie systems and chafing dishes. 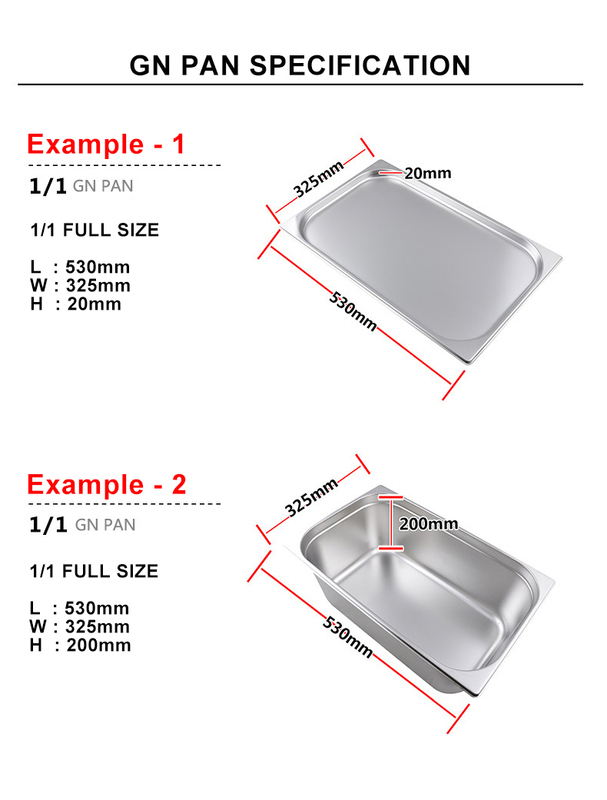 This range of GN pan manufactured to the International Standard EN631-1:1993. 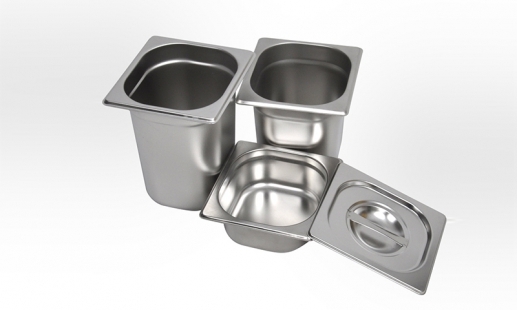 It is designed for professional cooking, storage, preparation, hot and cold food preparation and allows you to configure many combinations of pans, providing a solution for every task in the operation of your kitchen.